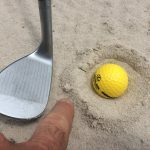 Golf Bunker Shot – It’s no secret that practice makes perfect. But are you practicing the right thing? One of the hardest shots in golf is the bunker shot. So many things can affect this stroke. Is the sand heavy, thin, crusty or wet? 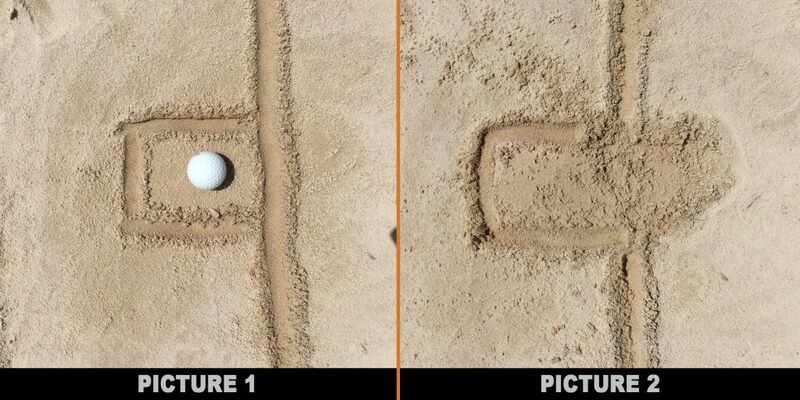 In all these instances the most important technique is to hit behind the ball and take the correct amount of sand. 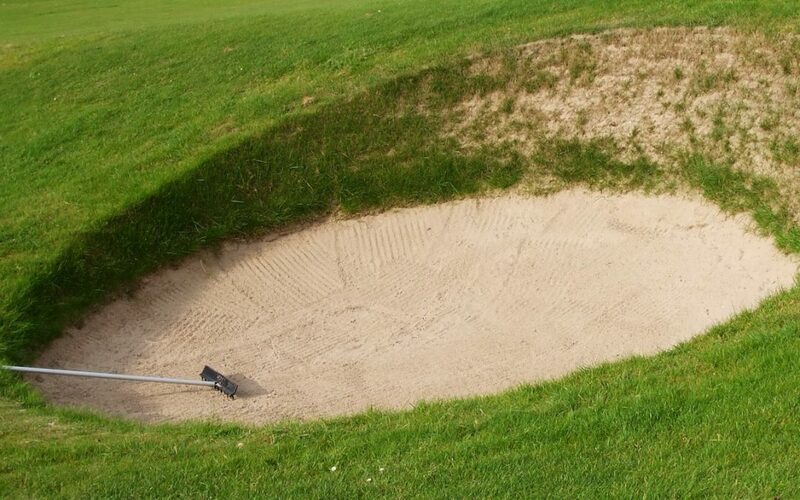 It may sound difficult but with this drill, your bunker play will improve dramatically. Look at picture 1. Draw this guide in the bunker and place your ball in the square as illustrated.The object is to hit the line behind the ball not the ball. 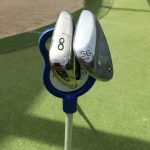 By hitting on the drawn line this will allow for the natural bounce of the sand wedge to lift the ball out and land softly. If you hit too far behind the line it will look like picture 2. If this is the impact that you make, your ball will either shoot low across the green in firm sand or stay in the bunker if the sand is heavy or soft. If you hit on the drawn line, your odds of a successful shot will greatly improve, no matter the condition of the bunker. To perfect your golf bunker shot, book in for a lesson with one of our qualified PGA professionals who are available seven days a week. 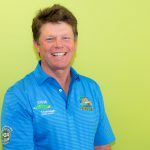 There are also a wide range of lesson options for all standards of golfers from clinics for kids just learning to private lessons for the most seasoned golfer looking to refine a part of their game. 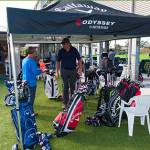 Our mid week ladies golf clinics, school holiday golf clinics and other golf for kids activities and mixed beginners golf clinics are also proving popular and are a great way to meet other people looking to get into the game of golf. If your interested in booking into a clinic then give us a call or book online now.